Deepak and Oprah offered a 21-day meditation experience this spring. One day Deepak introduced 7 ways to apportion the day, as studied by Dr. Dan Siegel at UCLA. 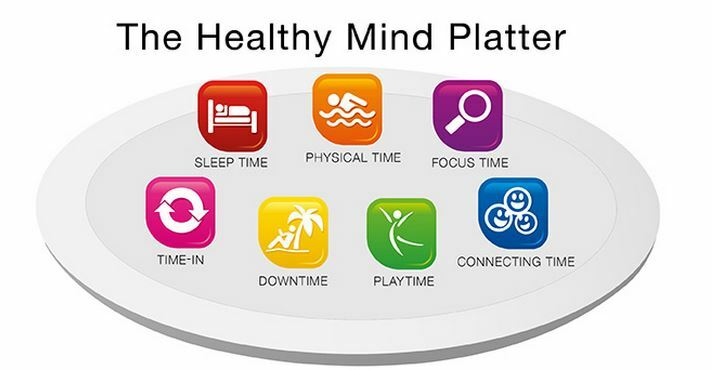 The healthy mind platter involves spending time in the following ways: Sleep time, Physical time, Focus time: time alone to concentrate and be, Time In: reflection or prayer, Time Out or rest, Playtime: fun in a carefree mood, and Connecting time: private time with those you love. Times in my life where I’ve listened to my body and natural rhythms have been during travel or in unconstrained work without distractions. I think the key is being focused on whatever it is you are doing. Seven things to divide a day seem like a lot to handle working a 40-hour week in an office environment, but I’m going to explore the challenge.